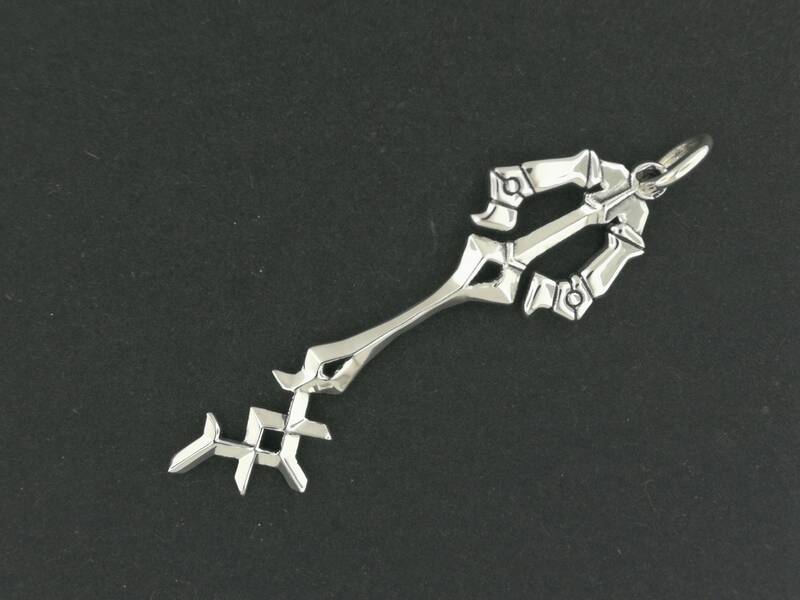 This is a handmade .925 sterling silver keyblade based on that of Aqua's Rainfell from Kingdom Hearts; Birth by sleep. Made in sterling silver, the pendant measures 6.2cm long plus the loop, 1.5cm wide and two sided. The loop or jump ring is a nice size for any size chain or cord. Rainfell is a keyblade that is wielded by Aqua in Kingdom Hearts Birth by Sleep and Kingdom Hearts Birth by Sleep Final Mix. 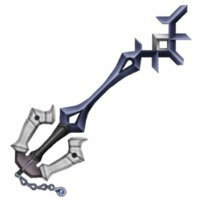 Like most keyblades in the series, it is a keyblade of the Realm of Light. 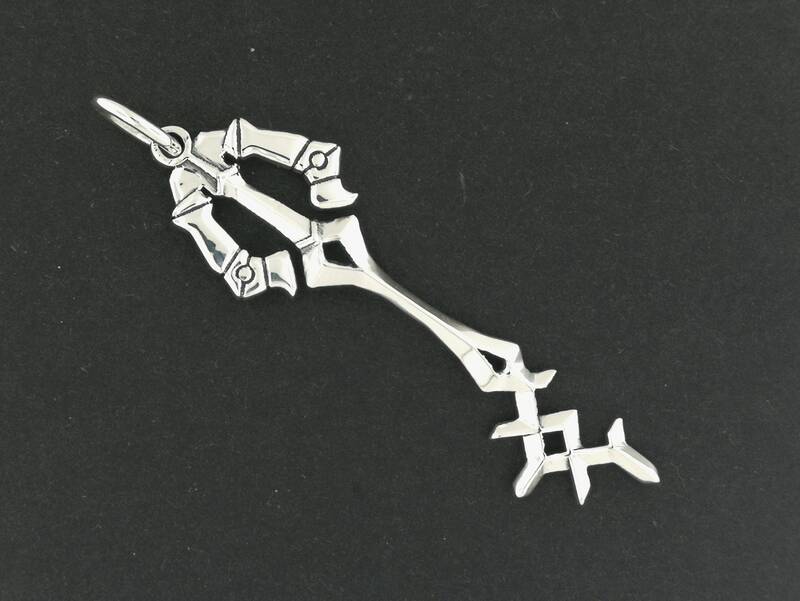 Aqua uses this keychain in order to form her keyblade Glider.